There’s No Need to Fear the Pediatric Dentist in Reunion! At Treasured Teeth, we work hard to cultivate an environment where kiddos can feel completely comfortable. But even with our televisions, toys, and other cool surprises, we know a lot of children may still be a little (or even a lot) nervous to sit in the dental chair. That’s especially true if they’re having some kind of dental work done, like a filling or a crown. But we’ve got good news! Sedation dentistry from your pediatric dentist in Reunion can help your little one relax throughout any appointment. Dr. Tippets treats his patients as he would his own children — and that means he never wants to use restraint to get them to sit still for dental care. Sedation dentistry offers a much better alternative. When kids have positive experiences at the dentist’s office from a young age, they are more likely to keep visiting the dentist for regular preventive care as they get older. We want to put them on the path to a lifetime of healthy, happy smiles, and we’re pleased to be known as The Happiest Place for Kids Dentistry on Earth! We’ve got three sedation options to help your child relax: nitrous oxide (AKA laughing gas), oral conscious sedation, and general anesthesia. The one that’s right for your son or daughter depends on the procedure that’s being performed and how nervous they are leading up to it. Nitrous oxide: Laughing gas is breathed in through a small mask your child wears throughout the procedure. It will make them feel a tingly, happy, and maybe even a little giggly in the dental chair. The effects wear off quickly after the procedure is complete. Oral conscious sedation: A deeper level of sedation, we give your child a special juice to drink that will make them feel a little relaxed and sleepy. Most kids fall asleep during this type of sedation, which may be combined with nitrous oxide for added relaxation. General anesthesia: Performed by a licensed anesthesiologist, general anesthesia puts them completely to sleep. 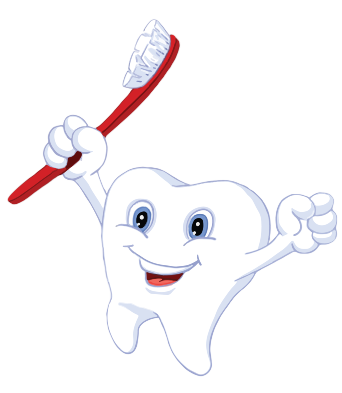 It’s best for a young child who needs a lot of work and may not be able to sit still, or for an older child who is very apprehensive about their dental care. 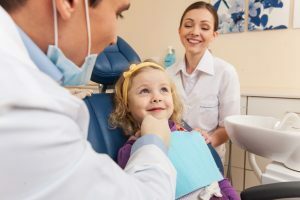 There are a few ways you can remove fear to help your kiddo feel totally comfortable receiving dental work before their appointment. First of all, communication is key. Don’t let the dental chair be a mystery — read children’s books about dentistry and talk to them about just what goes on during a checkup and cleaning. You can also act out a scenario at home beforehand, where you’re the dentist and your child is seated in a comfortable chair. Setting a good example yourself is also important. When your child sees you engaging in regular dental care, they’ll better understand why going to the dentist is important. Most importantly, make sure they attend routine checkups and cleanings so we can help them avoid the potential stress of cavities and infection altogether! Could your child use a little help relaxing at the dentist? We invite you to request an appointment for safe, effective sedation dentistry from your kids dentist in Reunion today.